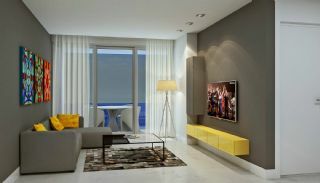 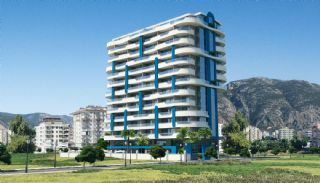 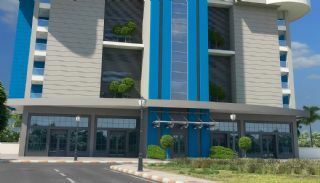 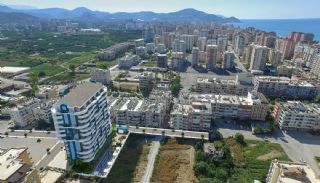 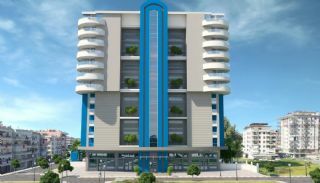 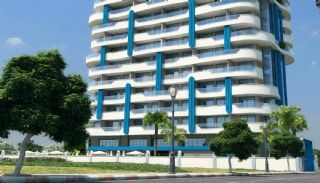 Contemporary apartments have a central location of Alanya, Mahmutlar. 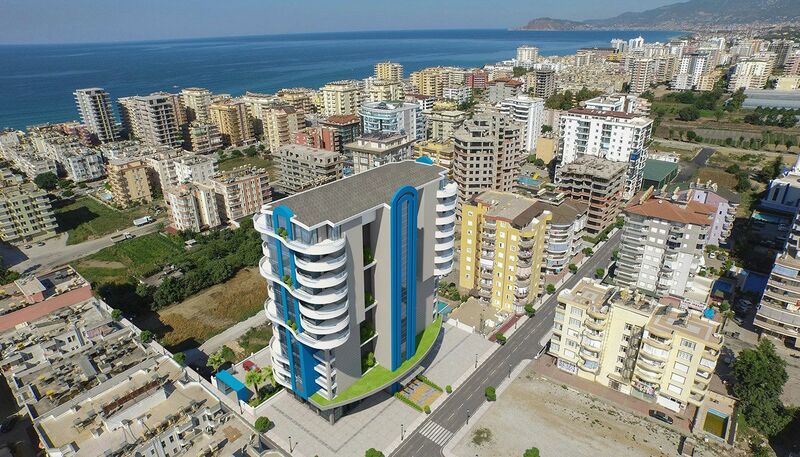 This region is the most favorable destination thanks to social, cultural and historical places, sandy beach and beautiful climate. 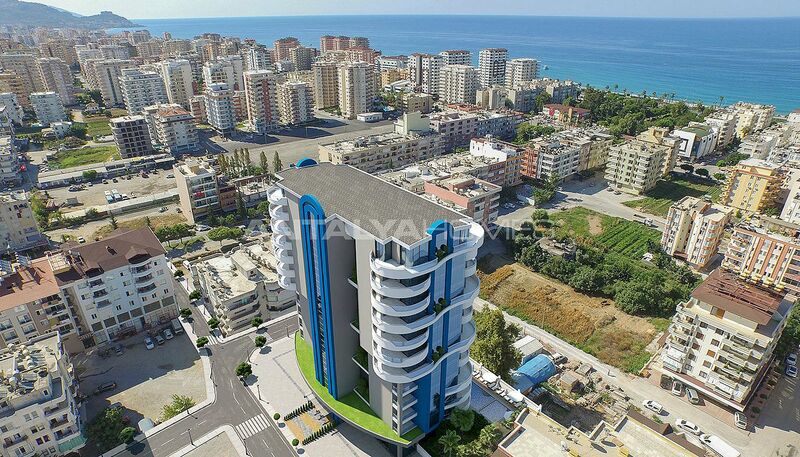 Alanya offers a great view of the Taurus Mountains and the Mediterranean Sea. 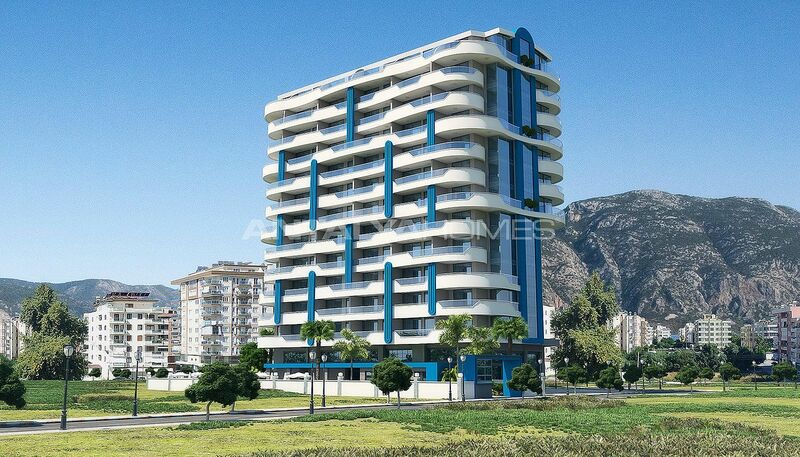 If you want to buy an apartment in Alanya, this region is an advantageous choice. 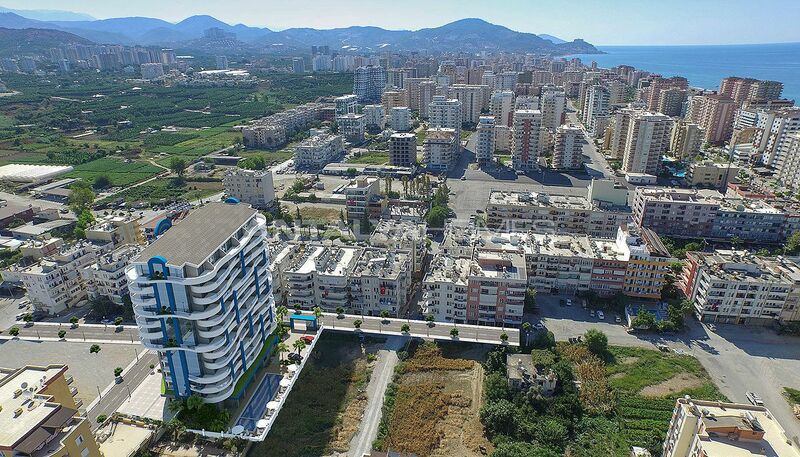 Apartments are only 350 mt to the sea and 150 mt to Saturday Bazaar of Alanya. 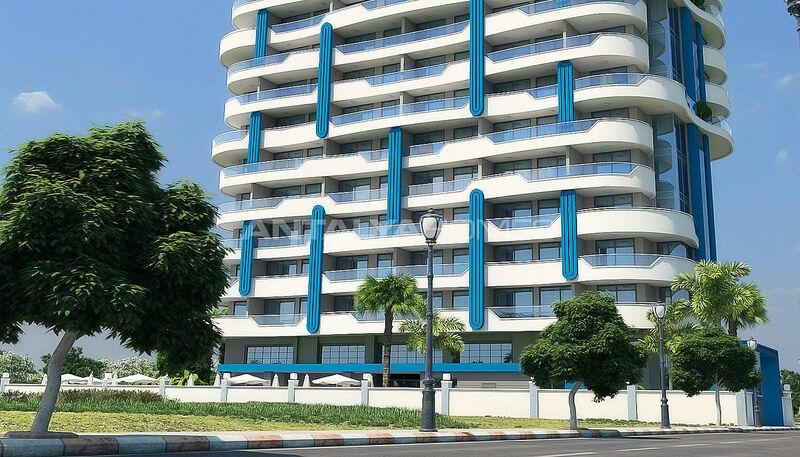 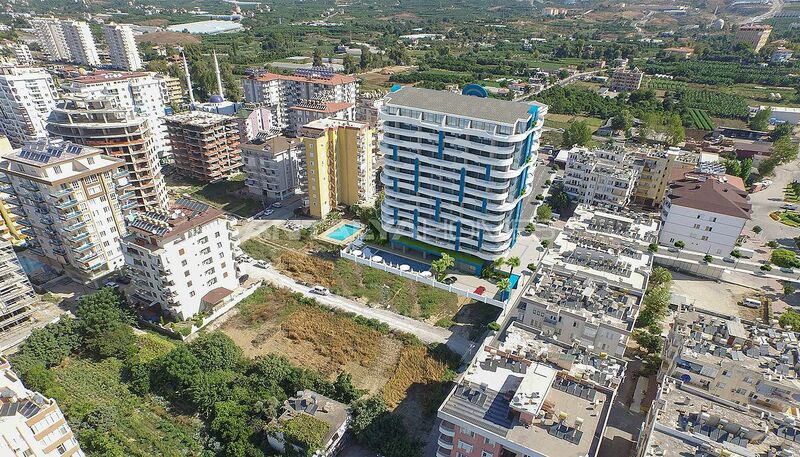 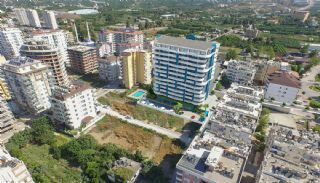 These apartments are 30 km to the Gazipaşa-Alanya Airport, 135 km to the International Antalya Airport, 10 km to the city center and 400 mt to the Mersin-Antalya Road. 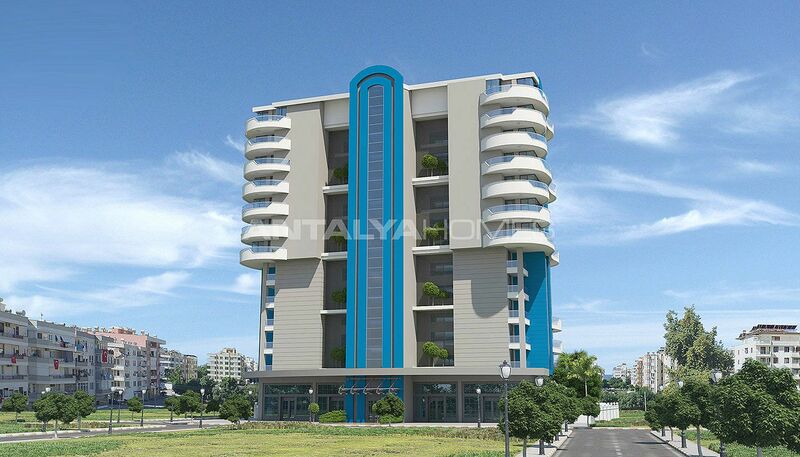 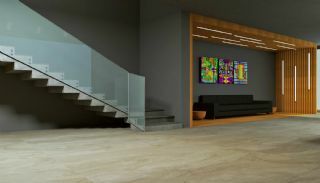 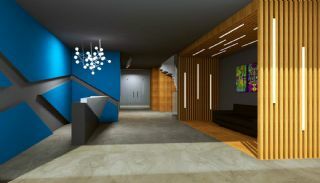 The residential complex consists of 1+1, 2+1 and 3+1 apartments with different size and types. 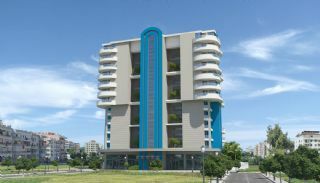 The complex has 12-storey and a total of 69 apartments. 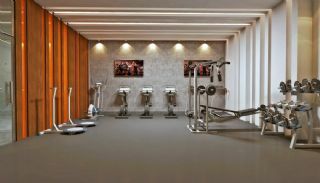 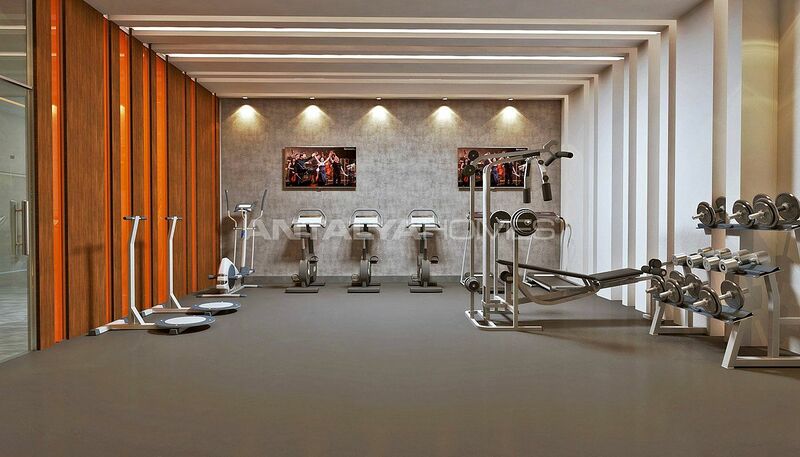 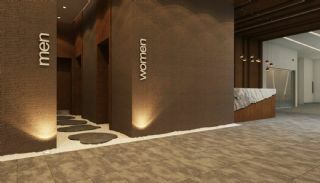 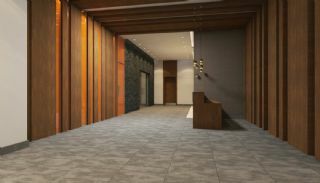 The complex has many luxury features like the spa, Turkish bath, fitness center, indoor and outdoor swimming pools, children’s playground, caretaker, garden and 24/7 security camera system and security. 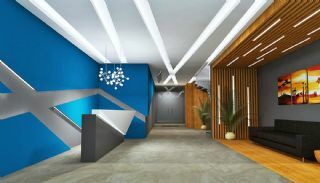 1 bedroom apartments are 65-87 m². 2 bedroom apartments are 156-158 m². 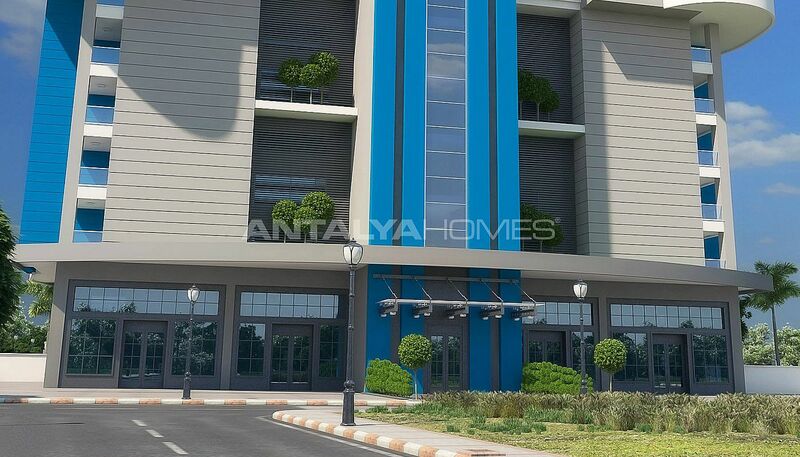 3 bedroom apartments are 148 m². 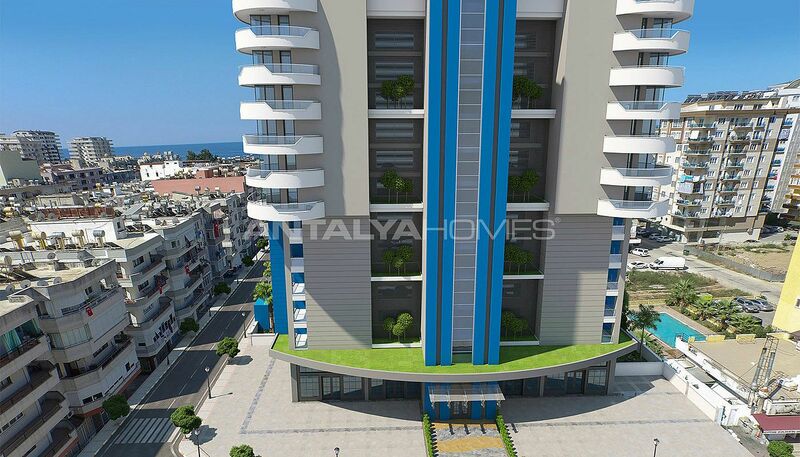 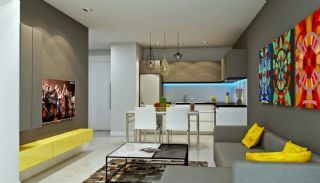 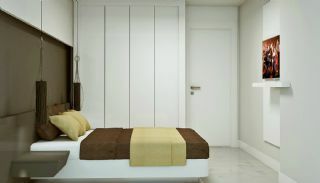 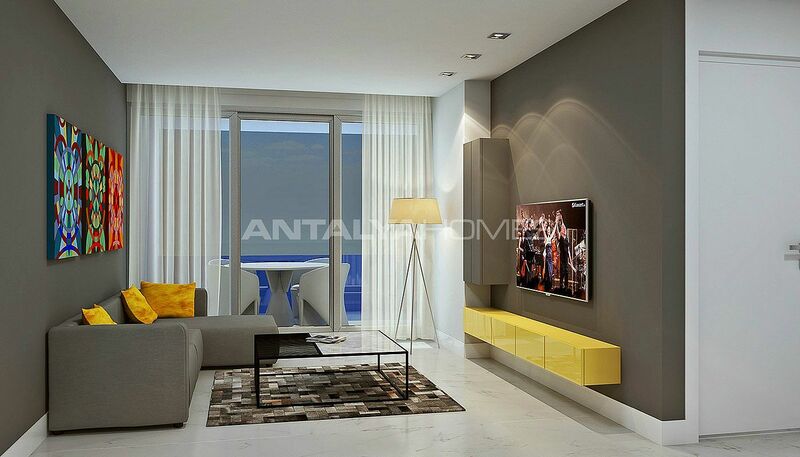 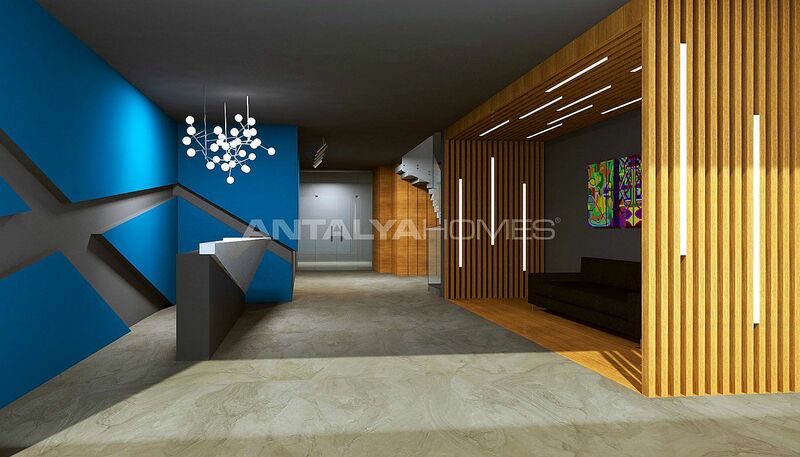 Alanya apartments are equipped with first-class materials for your comfortable living standards.